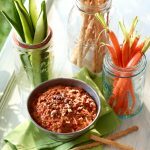 Looking to incorporate more meatless meals into your routine? 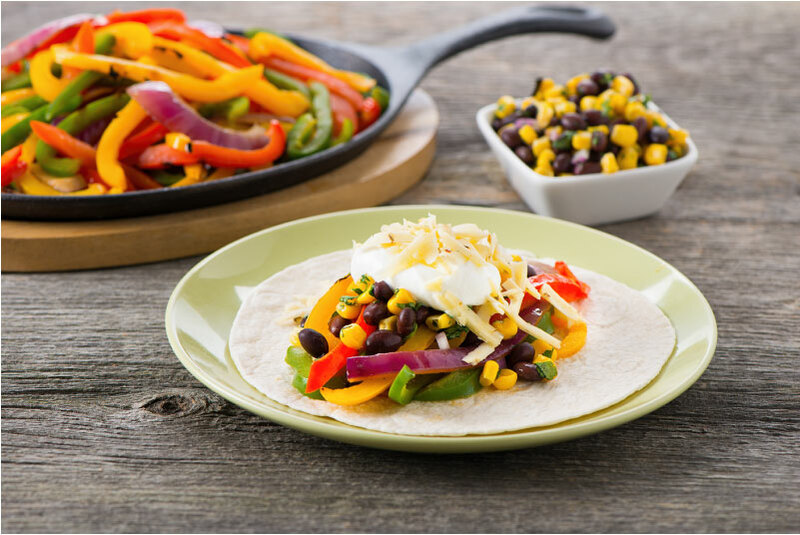 We think you’ll like this vegetarian fajita made with sweet Ontario Greenhouse-grown peppers, with black beans, corn, red onion and cilantro. It’s perfect for a fast weekday meal! Corn and Black Bean Salsa: Toss the black beans with the corn, red onion, lime juice, cilantro and salt. Chill for at least 30 minutes or up to 3 days. Fajitas: Preheat the grill to medium-high; grease the grate well. Whisk the oil with the chili powder, cumin and salt. Toss with the green pepper, yellow pepper, red pepper and red onion. Grill, turning as needed, for 7 to 10 minutes or until well-marked and tender. Cool slightly and thinly slice. 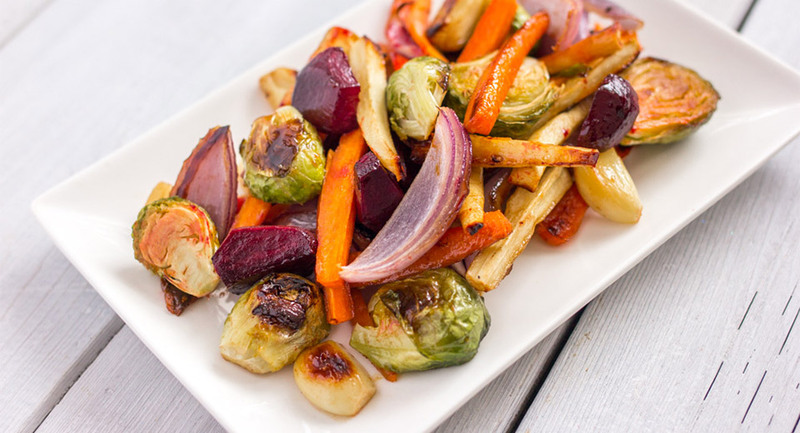 Divide the grilled vegetables evenly between the tortillas. Top with sour cream, pepper Jack cheese and the salsa. Add grilled chicken or shrimp for extra protein.